Product Type: shellfish Style: Fresh Weight: Type 1: 20 25 units/ kg Type 2: 25 35 units/ kg Origin: Viet Nam Oysters are considered nutritious foods and healthy best. Oysters provide much less energy but contain vitamin A, zinc, iron, selenium and calcium. 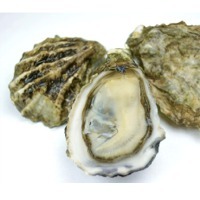 Meat is a food raw oysters are rich in nutrients and hormones, particularly rich in zinc. 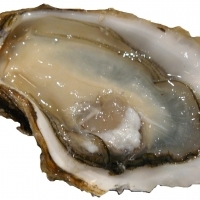 Sea Oysters are rich in zinc most animals, each containing 100g of fresh oysters to 25mg of zinc, whereas zinc per 100 g of meat is only 5.2 mg and 0.8 mg in 100 g of fresh fish.According to the research of modern scientists, oysters have high nutritional value, per 100g oyster meat includes: 10.9 g protein 1.5 g fat 375mg potassium 270mg sodium 35mg calcium 10mg magnesium 5.5 mg iron 47.8 mg zinc 11.5 mg of copper 100mg phosphorus Vitamin A, B1, B2, acid taurine and other elements of The amount of iodine 200 times higher than cow's milk and egg yolks. In the oyster meat are also high in amino acids and active only in special creatures of the sea. Short on time? Let oysters sellers contact you. 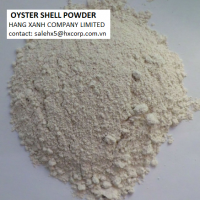 Size :varity size Colour :shell colour Use :make poltry foods.Chemicaluse. 25 kgs for gunny bag /customer reqired. 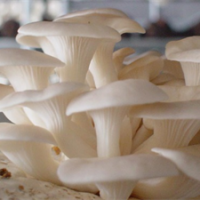 Fresh and organised oyster mushroom Grade :A Colour :white Oyster mushrooms is a foods nutritional value. Vegetable Protein (protein) twice larger than chicken eggs, are rich in minerals and vitamins A, B, C, D, E ... no toxins. Therefore be regarded as a "vegetable" and "fresh meat" improve nutrition for everyday meals and demand is growing. Grade:A Color:white Certification:HACCP;ISO;BRC;CIQ Cap dia:1-3cm,3-5cm,5-8cm,2-8cm package:10kg/ctn inner ploybag. Description: 1)Natural and pure oyster mushroom 2)Has the same taste and smell oyster mushroom 3)No harmful impurities 4)Hygiene,microorganism and pesticide levels meet export inspection standards 5)Specifications:according to customers requirement 6) Stored below -18C 7)Shelf life:18 months. 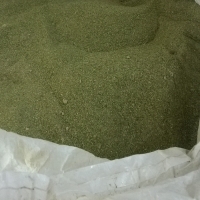 10kg/ctn or as your request. Oyster shell dim.10-190 mm Clean conditions and types of sea shells and used for the manufacture of handicrafts, the price of usd15 per kg. We can supply continuously for one month. Sack with 50 kg. Fresh oyster, frozen oyster, dry oyster.